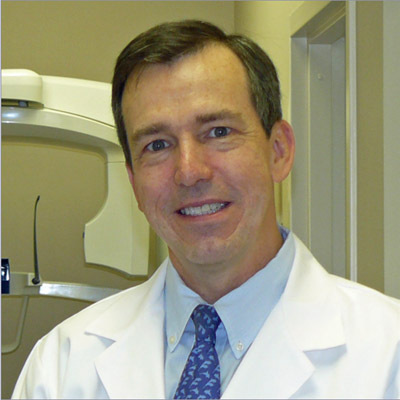 Dr. Charles Dodge earned his Doctor of Dental Medicine degree from the College of Dental Medicine at the Medical University of South Carolina. Following graduation Dr. Dodge served a short time with the United States military while furthering his dental education through numerous service sponsored clinical rotations under the tutelage of board certified specialists in Prosthodontics, Oral Surgery, Periodontics and Endodontics. Following his military service Dr. Dodge and his wife moved back to the Atlanta area to open his dental practice and raise their four children. Dr. Dodge attends numerous post-graduate courses yearly, and especially enjoys courses concerning the newest cosmetic, preventive and restorative techniques. Dr. Dodge is an active member of the American Dental Association, Georgia Dental Association and a member of the Honorary Society of Dental Volunteers at the Ben Massell Dental Clinic , as well as the North Fulton and Norcross dental study clubs. In his free time, Dr. Dodge enjoys golf, running and watching football.